The WPA remains a key member of the governing coalition, according to Minister of State, Joseph Harmon. The Working People’s Alliance (WPA) remains a strong an integral member of the Coalition Government and Minister of State, Mr. Joseph Harmon said that this morning’s meeting between executive members of the party and President David Granger has served to reaffirm that the system of communication among parties will be reinforced and will remain strong. While the WPA had complained about the lack of consultation on the decision, the President indicated that there had been consultation and that there is an existing system of communication between Government and the political parties that make of the Coalition. Expanding on one of the significant role that Dr. Roopnarine will now hold at the Ministry of the Presidency, Minister Harmon said that innovations and reforms are critical to the education sector and this is the ultimate responsibility of the President of Guyana. He said, “The President has made it actually very clear that he is not prepared to allow our children access to an education system, which fails them and we have to take steps and we have to make the decisions, which are necessary in the interest of the children of this country.” The new department will allow for the development of policies and programmes needed for the long term development of the sector and will also allow the Minister of Education to be able to focus on the day to day implementation and administration of the sector. “The COI [Commission of Inquiry into the Education Sector] pointed to that fact and what the President extracted out of that was that what was needed was some entity, which did not burden the Minister of Education in dealing with matters going forward; innovation, reforms and so on, in the education sector. So His Excellency recommended that we create a department that will oversee these initiatives and so this is how that came up, and in fact, [during] the meeting, this morning, they recognised that too. 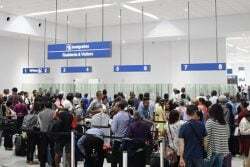 They said they were happy about it and they recognised that it was a good move and that His Excellency actually read the report very thoroughly and understood what was going on,” Minister Harmon said. 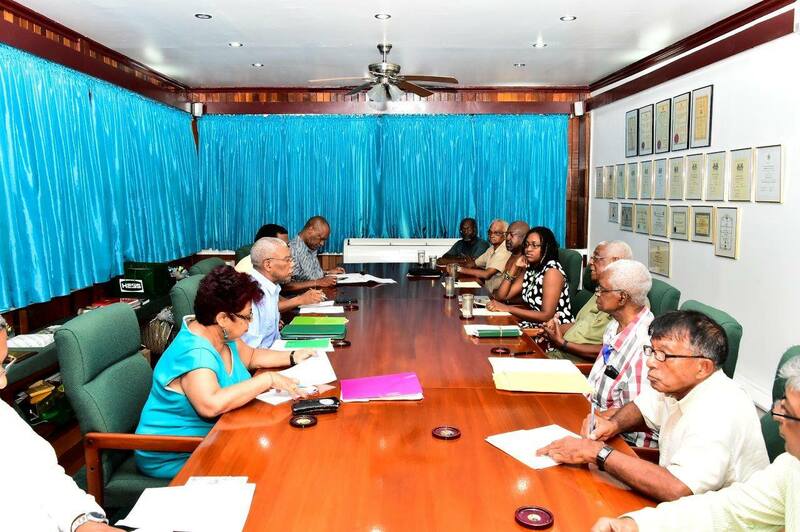 Attending the meeting for the WPA were Dr. Clive Thomas, Dr. David Hinds, Dr. Wazir Mohammed, Dr. Rishi Thakur, Ms. Tabitha Sarabo-Halley, Mr. Desmond Trotman, Mr. Tacuma Ogunseye, Mr. Jinnah Rahaman and Mr. Mazarool Ekbaal Ali Majeed. Accompanying the President, along with Minister Harmon, were Minister of Legal Affairs, Mr. Basil Williams and Minister of Social Protection, Ms. Amna Ally.